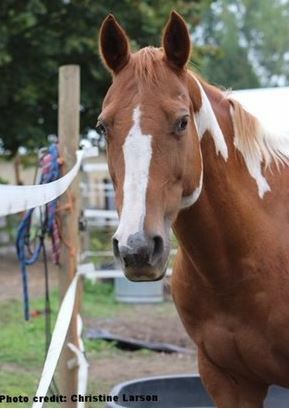 In December of 2018 we received a lovely 19 year-old pinto mare named Jewel. She is sorrel and white and stands about 15 hands. 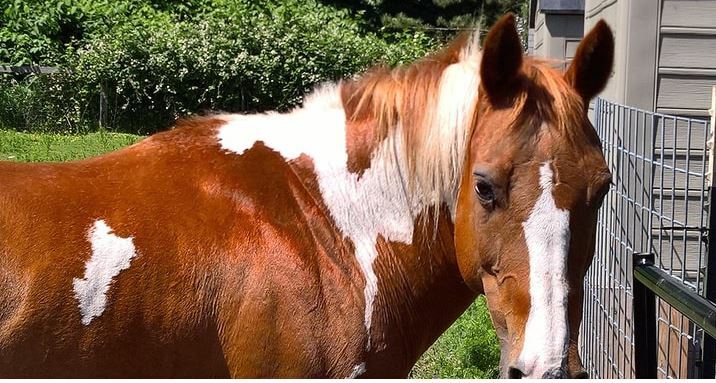 Sweet Jewel is a rescue-to-rescue transfer who was previously used as a beach rental horse before being sold into the slaughter system when she was deemed no longer useful. With her trusting and social personality, Jewel is always happy to see her human friends and offer a greeting and nuzzle. 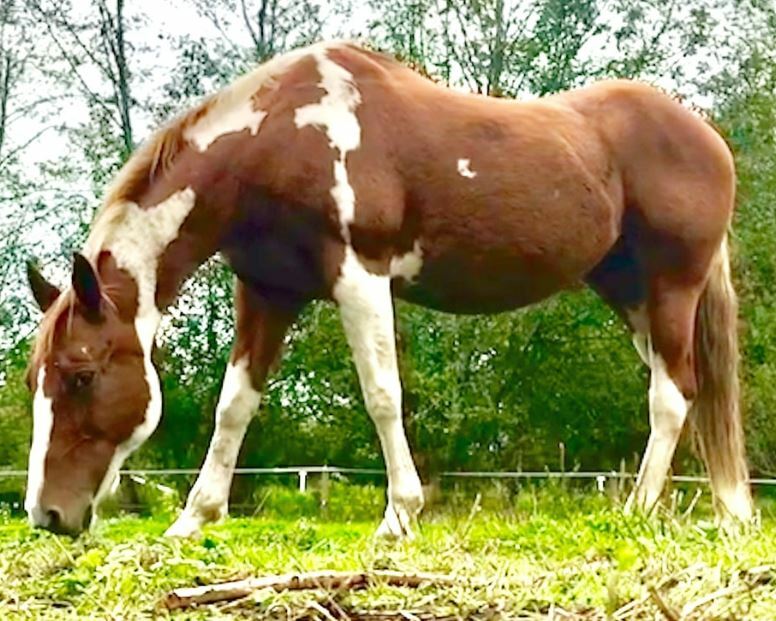 This beautiful and gentle mare may no longer suitable for riding, however she would be very suitable to be your new best friend. Click the button above to make either a one-time or recurring donation. Thank you!